As a Financing Solutions Specialist, Catherine Cunningham is passionate about providing clients with intuitive and creative solutions to their financial needs. Over many years of experience in the financial industry Catherine has accredited her endurance to staying focused and goal driven while having an great ability to seeing the big picture and staying true to a client centric business model. 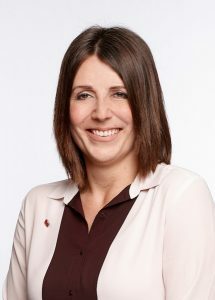 Whether you are a first time home buyer, buying and selling, need access to the equity in your home or looking at refinancing your debt, Catherine is here to help.